I need to read Edith Wharton again. I like her descriptions, the social analysis at the same time it’s so infuriating… Fortunately many of her problems wouldn’t be problems anymore nowadays. Did you read Ethan Frome? Quite a sombre little book. I haven’t read The House of Mirth yet… I want to read more classics this year… You just gave me an idea. The book sounds more interesting than the movie in focussing on both women equally. Caroline, I love The House of Mirth! It’s one of my all-time favorite books and one of the few which I have taken the time to reread. I liked the Gillian Anderson movie too, but it seems like it would be very hard to follow if you haven’t read the book. Good to know. I should read it. I often heard that some people even like it better than The Age of Innocence. I’ll keep the movie in mind as well but would watch it after reading the book. I primed myself to be disappointed in the film version of The House of Mirth, but I thought it was excellent. Yes, Caroline, I read Ethan Frome. Liked it a lot and there’s a film version of it too. 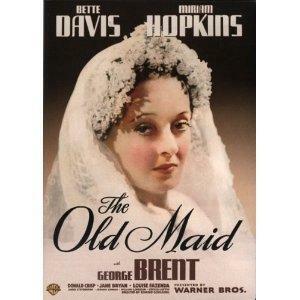 The Bette Davis film was good, no doubt about that, but it is a Bette Davis vehicle and makes her the heroine. It would be hard, I would imagine, to show in film how society entered the picture. At many times in the book, Delia make decisions based on pressures she doesn’t fully acknowledge. I can forgive a movie being a Bette Davis vehicle… I always liked her, she is really special. Whatever Happened to Baby Jane? I’ve tried to read The Custom of the Country. Twice. To no avail. Perhaps I should try another one or try it again. 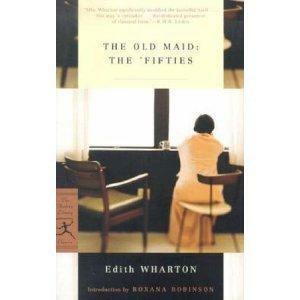 Edith Wharton is the kind of writer I expect to like, after all, I liked the books by Henry James I’ve read. And she’s a woman writing on women’s condition, which is something I usually enjoy. So I’ll keep this one in mind. Something else: I always wonder why they are so many excellent female authors in Anglophone literature and almost none in French literature, at least before WWII. I watched it before reading the book and found it a very good adaptation. The book is wonderful. I haven’t read everything from Wharton, but my favourite novel, The Custom of the Country is not considered by academia to be her best. The House of Mirth appears to be the one most often selected for study. The Old Maid is shorter and it seems to quite be accessible. As For The Age of Innocence (the first Wharton I read), I wasn’t crazy about the film version. DDLewis was decent, but Pfeiffer seemed out of her depth. It’s been a long time since I’ve seen it, but if I remember correctly, it was fairly faithful to the book. On the final question, I can’t conjecture except to say that British literature and American lit seemed to produce female authors from its upper and gentry classes. I read a comment by Gore Vidal in which he argued that Henry James seems to be considered ‘above’ Wharton on the hierarchy of talent, but that he considers it to the other way around. Perhaps we should try and revive forgotten French female writers….. I wonder whether The custom of the country being in lesser favour is to do with the lesser appeal of its heroine. The house of mirth grabs you emotionally while The custom of the country is more intellectual. (Not that The house of mirth doesn’t have intellectual appeal too). Your review of The old maid reminds me that I’d like to re-read it too … but there are still some Wharton’s I haven’t read so I shall plough on with those first. Bette Davis is a hell of an actress. One of the greats. I think George Eliot is a toughie. I gave up on Daniel Deronda once and that irked me as I loathe to give up on books. I returned to it years later when the book was mandatory reading. Then I loved it. Middlemarch is one of my top ten of all time. I tried to read The Mill on the Floss. Perhaps I chose the wrong one. Eliot writes notoriously dense multi-plot novels. Mill on the Floss is on the lighter scale of things. Caroline, Guy, I agree with you both. Mme de Lafayette is good and I should read Mme de Staël as well. The 19th C is empty compared to English literature and I wonder why none of the talents found a way to be known. If we dig enough, we’ll find memoirs and novels from these women who were the souls of the salons (Like Mme de Girardin). But nothing really famous. I wonder if the French Brontë Sisters are forgotten or inexistant. I wonder if the salon gave French women of that class an outlet that Englishwomen didn’t have in the same way. After all, to write one needs not only talent but also opportunity and access to publication. On top of that there’s an issue of social acceptability and what competing modes of expression you have. All that aside, it’s funny, Age of Innocence blew me away and yet I’ve not yet read more by Wharton. I must correct that. This sounds excellent, refreshing but challenging if that makes any sense. I’d probably want to read the whole quartet in order, but that does sound doable. The ‘salon’ and the power of the woman who runs it pops up in Maupassant’s Alien Hearts. Wharton is phenomenal, isn’t she? I wonder if the education of women of upper classes in the 19C had something to do with it. When I read English literature, I’m prone to thinking that rich women studied at home with governesses and had the opportunity to read more and develop their own mind and imagination. When I read French literature, rich women are educated in convents and learn nothing. See : Emma Bovary, Jeanne from A Life by Maupassant, Mme de Rênal in The Red and The Black, Louise and Renée in Letters of Two Brides by Balzac. But at the same time, all this was written by rather mysogynistic men. I don’t think it’s a question of access to publication : the women who ruled those salons had all the useful connections. Maybe they were too busy with their social life to write. I wonder if comparison studies have been done. The Custom of the Country’s Undine Spragg is a heroine (in my book), and she flips the finger to everyone. More than a tad unscrupulous, she’s ready to scramble over the bodies of the men she discards on her way to …well whatever she’s on the way to. I think she’s marvellous, but she doesn’t exactly fit that tragic, suffocated woman role. Yep, that’s pretty much as I see it … BTW you don’t seem to have a subscribe to comments (or whatever it’s called) tick box on your posts. Is that a deliberate decision. I’d love to be able to tick one so that I don’t have to rely on my failing memory to check back!! Must have been wiped out when I had to switch my blog format a few months ago. Guy: For me, the best thing about Undine is that she keeps making bad decisions — and still flips the finger at everyone. In fact, I don’t think she ever makes the right decision, but she doesn’t let that get in the way of forging forward. I’ll admit my favorite bits are when she has succeeded in getting into the French aristocracy, only to discover that she should perhaps have reviewed the rules first. All of this, incidentally, is an interesting contrast to Proust. And to Henry James. I certainly like him but his central characters tend to be victims of external forces (albeit with an impact magnified by character flaws) while Wharton’s tend to be more personally responsible for their own problems (cf. Lily Bart). The shorter fiction of both James and Wharton was already on my agenda for this year — this quartet seems to be a logical part of the Wharton component. I love the cover picture with your review — could you let me know what the edition is (and if the other three are published with similar attractive covers)? Kevin: I read the Modern Library edition. Just checked on Amazon and it looks as though it is OOP. I liked this edition’s intro; it boasts that it’s the only single version of The Old Maid (not sure if that is still true). The thing that annoyed me about this version: the notes! I’d see a word with the numbered notation and then check the back of the book. Some of the notes were just redundant. For example, several of the notations were to mention the use of hyphens in the original. A matter of taste, perhaps, but after a while, I stopped checking the notes and concentrated on the story. I also have the Old New York collection. Looks like it’s 10.88 om Amazon US. I think this version has a really attractive cover, and that may explain why I bought it. I have the same request as whisperinggums : it would be nice if you added the “subcribe to comments” button. It should be up now…. Though it is not as well-known as the other Wharton works mentioned, I would strongly recommend “Summer,” first published in 1918, and reportedly Conrad’s favorite Wharton novel. According to Cynthia Griffin Wolff´s introduction to my Harper & Row, Perennial Library addition, “Summer” is the first female “bildungsroman” (coming-of-age novel) “to deal with sexual passion as an essential component” of an adolescent’s development into young adulthood. Though set far from the upperclass NY society of “The Old Maid” (which I have not read), the protagonist of “Summer” also rebels against and falls afoul of the socially acceptable behavior of her small New England town. I read that one a few years back; it’s one of those novels that gets pushed out of the limelight. Yes, it’s a good one.